Honorary NUJ member, Mumia Abu Jamal has spent more than 30 years in jail – much of the time in solitary confinement. Image via Mumia’s official Facebook page. Supporters around the world of the jailed African American journalist Mumia Abu Jamal are extremely alarmed to hear that, more than two months after being admitted to hospital because of complications related to his diabetes condition, his family says he is being denied access by state authorities to the medical treatment he urgently needs. At the time he was admitted (30 March) to an intensive care unit at a clinic near the Pennsylvania prison where he is being held, he was in diabetic shock. The emergency came just a few weeks after blood tests conducted within the prison which his family say should have revealed he was suffering from diabetes. A report on his medical condition from earlier this month indicates that he remains extremely ill, has lost a lot of weight and is using a wheelchair because of swelling in his feet and legs. Some supporters say his current treatment amounts to “medial execution through neglect and malpractice” and they want the PA Department of Corrections to allow independent specialists to treat Mumia’s diabetes and severe eczema. Mumia Abu Jamal was the first person to be granted honorary membership of the union and we are proud to be able to call him a colleague. It is our view that Mumia is the victim of one of the most notorious miscarriages of justice arising from the civil rights stuggles of the 20th Century. We in the NUJ firmly believe the criminal justice system has blighted the life of a man who was clearly targeted because of his work as a campaigning journalist, exposing corruption and racism. To deprive him now of the medical attention he so desperately needs is a further and unnecessary act of cruelty and inhumanity. The NUJ has joined other trade unions as well as Mumia’s family and friends calling on the Pennsylvania state Governor Tom Wolf to intervene to allow daily visits to him by Mumia Abu Jamal’s family and to permit Mr Jamal’s choice of medical specialists to treat him. We are also urging the Governor to take steps to allow him to be released and to put an end to this monumental miscarriage of justice. Mumia Abu Jamal has consistently denied the allegation that he killed a white officer, and despite a lengthy campaign to obtain a fair trial, his appeals have been consistently refused. During three decades on death row he has faced the stress of twice being given execution dates – sentences that were later halted following worldwide campaigning for his cause, which also led the authorities in 2011 to commute his sentence to life in prison without parole. 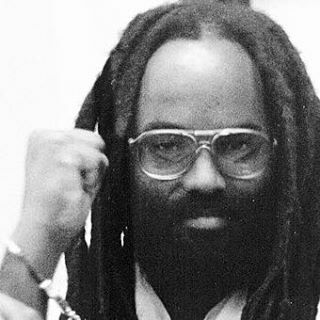 There is a petition on Change.org calling for Governor Wolf and the head of the Pennsylvania prisons department, John Wetzel, to allow Mumia’s own doctors to visit him and prescribe treatment for his long-term illness.